The use of reverse osmosis systems in the water conditioning industry continues to grow. 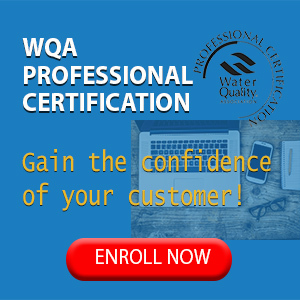 As more systems are placed into service, it is important for water quality professionals to broaden their understanding of this technology. This introductory article is written to help trade professionals improve their familiarity with RO systems that use a feed pump to deliver 130- to 200-psi feed pressure to the membranes. 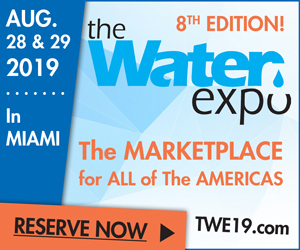 Although some of this information may apply to under-counter residential systems, the intent of this article is to cover the subject of whole-house/ commercial-type systems used in city water applications. 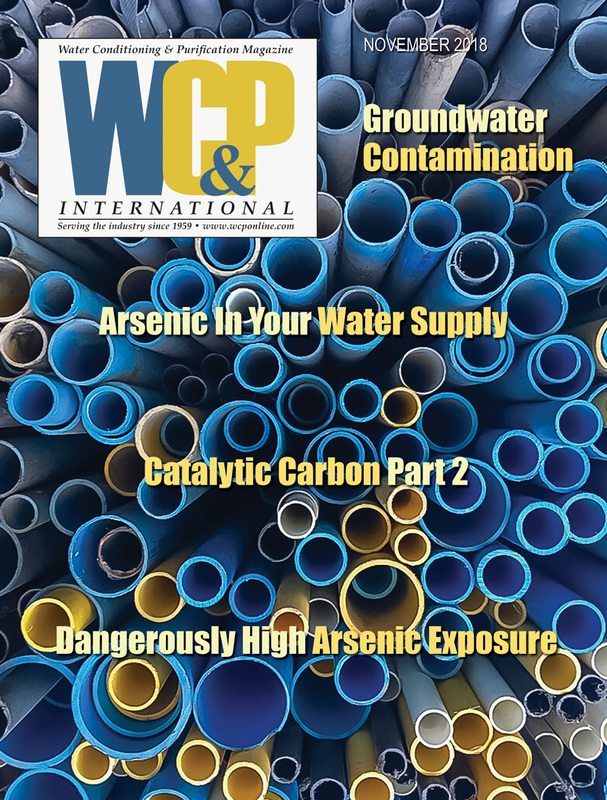 Private, non-regulated water supplies may contain other impurities, such as high levels of organics, iron, manganese, hydrogen sulfide and other constituents that may affect RO membrane performance and life but are not discussed in this article. The prefilter itself on a factory-assembled RO system should not be relied upon as the sole sediment control for the system. A media-type, backwashing sediment filter is preferred as the first piece of equipment in the pretreatment lineup and also serves as protection for other pretreatment technologies where higher sediment is present. Ideally, the sediment control method should be selected to ensure a silt density index (SDI) value of three or lower. SDI is discussed later under the topic of flux rates. If not addressed, SDI values exceeding three can cause premature mem- brane plugging. The RO system needs to be locked out when the sediment filter backwashes so that sediment is not or high SDI values are not present in the RO feedwater. Usually done with activated carbon sized at 3.7 gpm (gal- lons per minute) per cubic foot of carbon service flowrate. The carbon filter must be sized to meet the demand of the RO system feed flowrate, not the permeate rate or gallon per day the system is rated to produce, as these are two very different flowrates. The feed flowrate will always be larger than the permeate rate. Activated carbon also reduces organics; however, much lower flowrates are required to achieve organic reduction. The RO needs to be locked out when the carbon filter backwashes so chlorinated water does not damage the RO membranes. Sodium metabisulfite chemical injection can also be used for dechlorination, injected at two ppm (parts per million) per every ppm of free chlorine. The sediment and carbon filters need to be programmed to backwash at different times. This will ensure ample water volume and pres- sure is available for backwashing each filter. Locking the RO out, so that it cannot operate while the sediment and carbon filters are backwashing, ensures the RO pump will not cavitate if these filters do not have an automatic bypass feature. If the filters have an automatic bypass feature, then the RO system should shut down regardless to prevent membrane damage from chlorine and sediment. An ultraviolet (UV) sterilizer, which produces 254 nanometer germicidal UV radiation and doses at 30,000 microwatt seconds per cm2, is a good defense against general microbes. Microbes can form biofilms on the membrane surface, which reduces permeate production. The UV system should be prefiltered with a five-micron cartridge filter so that UV transmittance into the water is maximized. 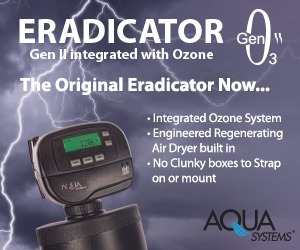 If a traditional water softener is employed as the scale control method for the RO system, then the UV ster- ilizer will receive the added benefit of reduced scale formation on the UV’s quartz sleeve. This will improve UV transmittance into the water and reduce quartz sleeve cleaning intervals, so the UV system should be installed after the water softener. If an antiscalant chemical is being used, instead of the traditional water softener for membrane scale control, check with the anti- scale manufacturer to confirm that the UV system will not have an adverse effect on the performance of the antiscalant chemical. Example 2 shows a typical flow path through a multi-stage commercial RO system. This particular type of configuration is known as a 4:2:1 array. A pump feeds the first four membrane housings in parallel. The wastewater from these four membrane housings provides the feedwater for the second stage, which consists of two membrane housings fed in parallel. The waste-water generated by these two second-stage membrane housings provides the feedwater to the last or third stage. The reject water leaving the third-stage membrane has the highest TDS. Because the membrane(s) in the final, third stage are subjected to the high- est TDS water, it is most likely to scale first and is the quickest to scale in the event the pretreatment for scale, be it a softener or an antiscalant chemical, quits working or is not properly maintained. The feedwater pressure to the membranes is highest in the first stage, lower in the second stage and lowest in the final, third stage. This is because with each stage, membrane feed-pressure loss occurs. The TDS of the membrane feedwater in the first stage is lower than the TDS of the membrane feedwater in the second and third stages because the second stage is fed with reject water from the first stage and the third stage is fed with reject water from the second stage. These two operational characteristics of multistage RO systems results in first-stage membranes operating at a higher flux rate than the second two stages. Depending on system design, particulate fouling can develop in first-stage mem- branes before the second and third due to the higher flux rate. Reverse osmosis technology is a broad field with many real- world applications. Bottled water and food processing plants have incorporated RO systems into their facilities to ensure a more consistent product. Metal plating and finishing facilities are using RO water for washing, plating solutions and rinsing applications. Car washes employ RO systems to eliminate the majority of spot- forming minerals from water, to provide their customers with a spot-free rinse. Steam boilers using RO for make-up water realize energy savings by reducing blow-down frequency, which in turn, reduces chemical costs. Over the years, separate-bed deionization systems have been replaced by RO systems, eliminating on-site management of acid and caustic chemicals. Reverse osmosis has become a common fixture in restaurants, laboratories, hospitals and a wide range of manufacturing facilities. Continue to educate yourself in this area. Doing so will open doors for your business in both the sales and service arenas.